Crock Pot Salsa Chicken Quinoa Casserole from Diethood sounds easy and delicious and this sounds great for a fall or winter dinner! For Friday Favorites we feature popular recipes you might have missed and this healthy and gluten-free Crock Pot Salsa Chicken Quinoa Casserole from Diethood sounds delicious for an ultra-easy dinner. 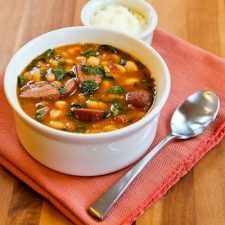 Ever since we started featuring recipes that are suitable for the new Crock-Pot Casserole Crock Slow Cooker I’ve been careful to remind people that recipes made in the Casserole Crock can also be made in other large oval slow cookers. Today I’m reminding you that also works the other way: slow cooker casseroles made in a large oval slow cooker are also perfect to make in the Casserole Crock! And this Crock Pot Salsa Chicken Quinoa Casserole is a wonderful example of a slow cooker casserole that would turn out beautifully in the casserole crock. 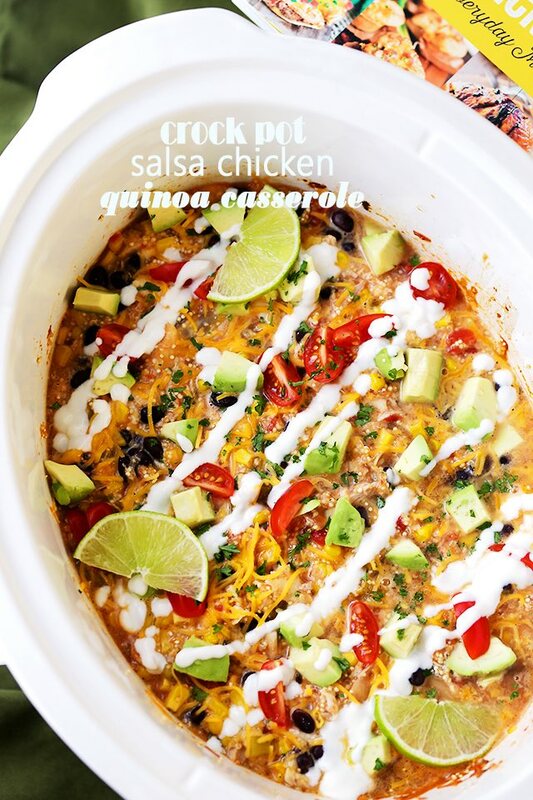 And it doesn’t get much easier than this recipe from my friend Katerina at Diethood; her Crock Pot Salsa Chicken Quinoa Casserole starts with shredded rotisserie chicken, canned beans and corn, and salsa and combines them with quinoa Mexican seasonings, and cheese for a dinner that’s quick to get into the slow cooker. I think this sounds amazing, especially topped with some of the options Katerina recommends! Get complete instructions for Crock-Pot Crock Pot Salsa Chicken Quinoa Casserole from Diethood. Katerina used a large oval slow cooker for this recipe, but you could definitely make it in the Casserole Crock Slow Cooker. I’d keep an eye on it for the last part of the cooking time if you make the substitute for the casserole crock; I think cooking time might be a little bit less. 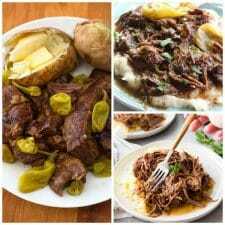 Check out The Best Slow Cooker Mexican Food Recipes!